These roses are so good that they melt in your mouth and are perfect for a group of children. 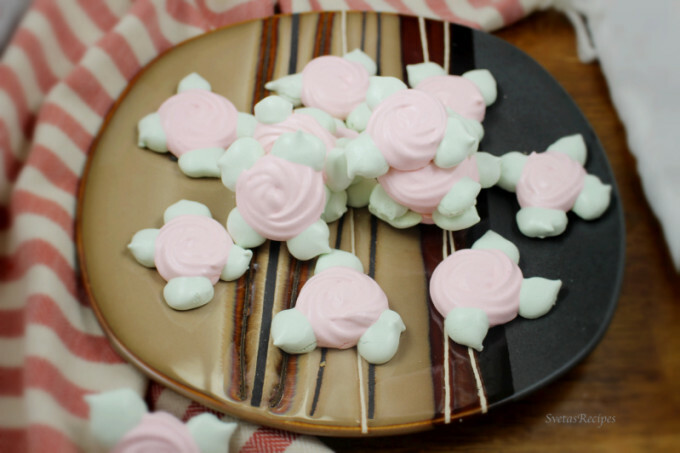 Its also great with tea or juice, your guests will enjoy this lovely dessert. 1.) 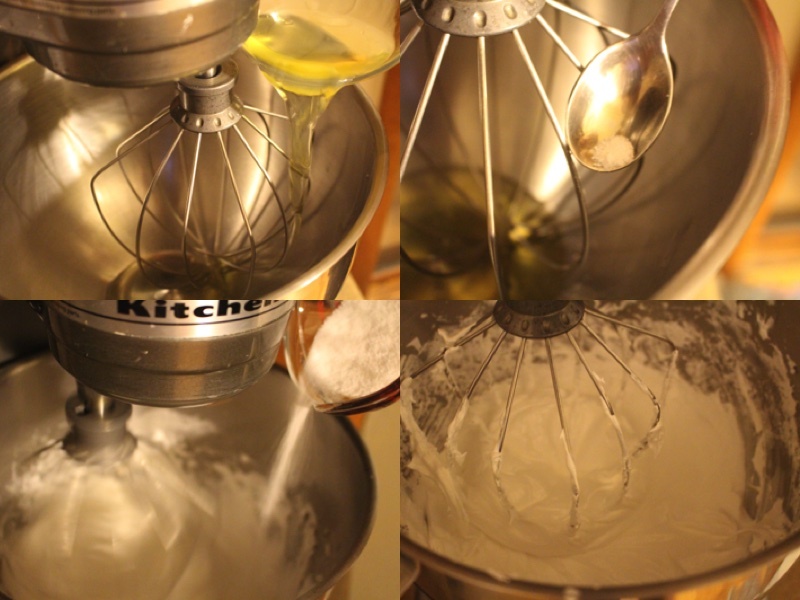 Place egg whites into the mixing bowl. 2.) Add salt, start mixing at a low speed and gradually add the sugar then mix on a medium speed until the cream is soft. 3.) 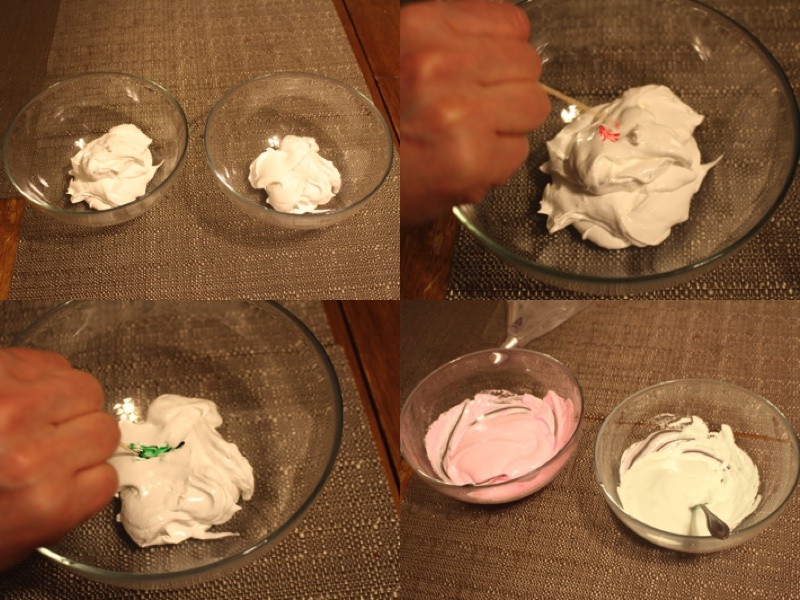 Divide the Cream into 2 different bowls, Add a drop of Pink food coloring and the green into the separate bowls, Mix together until one bowl is green and the other is pink. 4.) 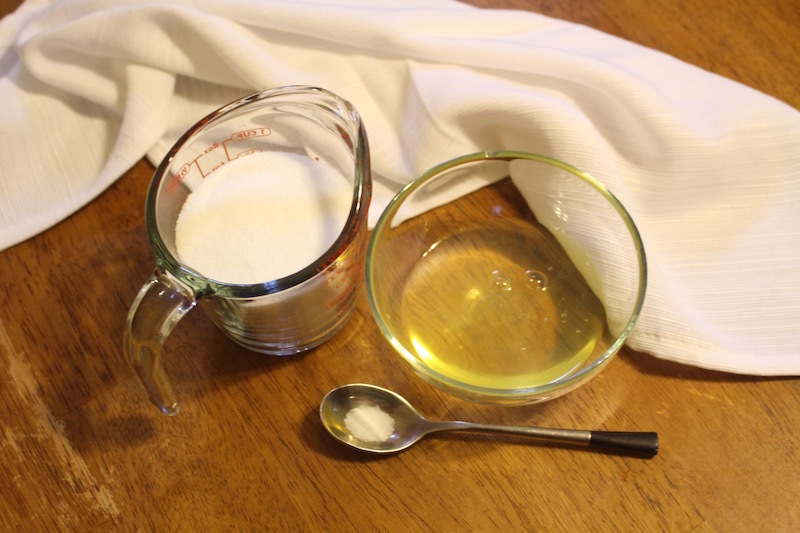 Lay a cooking sheet over your baking pan and spray a coat of cooking spray. With a star tip pipe out mini roses onto the tray. 5.) For the leafs use the green cream and pipe out small leafs with the leaf tip. 6.) Cook at 250F for 30 minutes and 200F for 2 hours. Place egg whites into the mixing bowl. Add salt, start mixing at a low speed and gradually add the sugar then mix on a medium speed until the cream is soft. Divide the Cream into 2 different bowls, Add a drop of Pink food coloring and the green into the separate bowls, Mix together until one bowl is green and the other is pink. 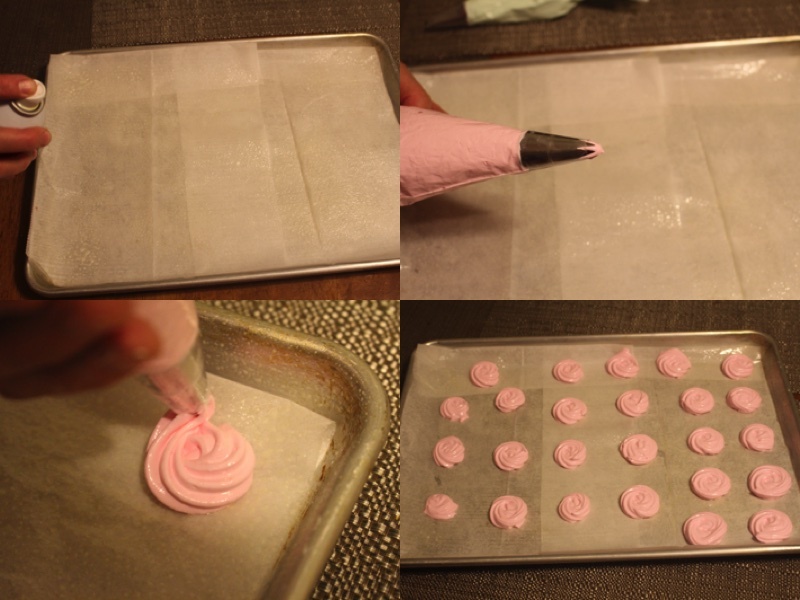 Lay a cooking sheet over your baking pan and spray a coat of cooking spray. 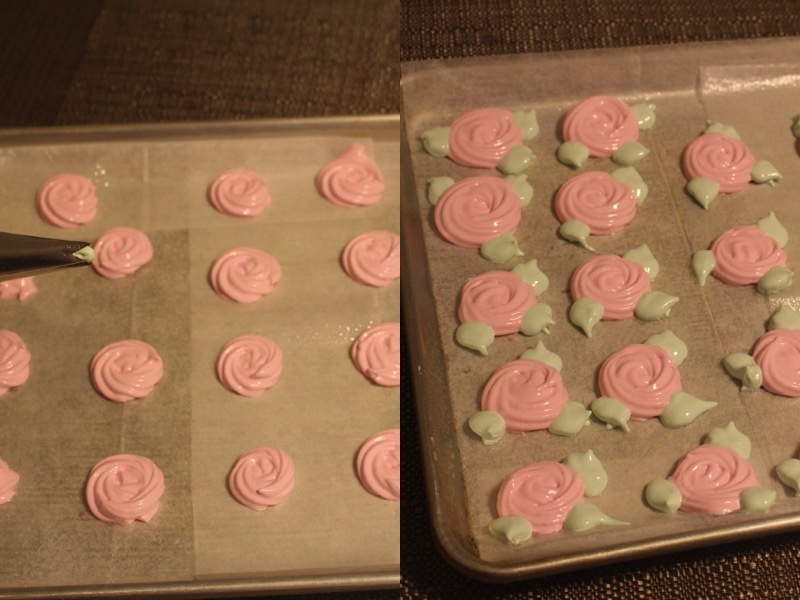 With a star tip pipe out mini roses onto the tray. For the leafs use the green cream and pipe out small leafs with the leaf tip. Cook at 250F for 30 minutes and 200F for 2 hours.